Meet our Athlete of the Month for October! Brandon has participated in numerous sports - Basketball, Bowling, Bocce, Ballroom Dance, Equestrian and Track & Field. He was nominated as our Athlete of the Month because of the enthusiasm he has at all of our events. Brandon always has fun no matter if it's a tournament or just practice and he makes it fun for everyone around him. Brandon has earned numerous ribbons and medals throughout his years of competition. His bowling team, the Applesauce Gang, has gotten the gold twice in the State tournament. But regardless of how he places, Brandon always has a good time and maintains a positive attitude. 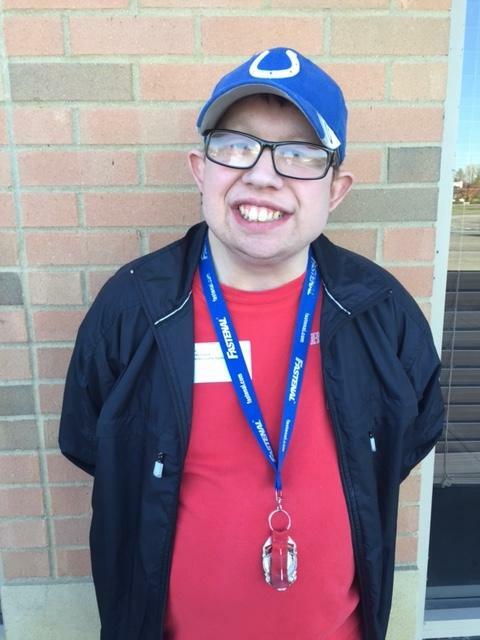 In addition to participating in Special Olympics, Brandon works at Sycamore Services. He also enjoys watching video tapes and usually tells you the latest one that he's watched. He loves sing-alongs, going to Bible Study on Thursday nights, going out to eat and riding in the Party Bus. Anyone that knows Brandon also knows that he LOVES Diet Coke!! Brandon is also known to be a good helper to others and has a huge heart - if you ever need a hug he's the one to call. Brandon overall is just a ton of fun and we can't imagine Special Olympics without him. Q: How long have you been in Special Olympics? Q: What is your favorite type of drink? Q: What other things besides Special Olympics do you like to do? Meet our Athlete of the Month for September! Hannah participates in Bowling, Track & Field and Equestrian. She was nominated as our Athlete of the Month because of her sweet and positive attitude. Hannah ALWAYS has a smile on her face and she says hi to everyone! She works hard in her sports and also cheers for her fellow athletes. She recently earned 3 gold medals in Equestrian and gold at the state competition in bowling. In addition to participating in Special Olympics, Hannah loves to text and read. She also does volunteer work through her school and helps babysit. Overall Hannah is just a perfect representation of what our Hendricks County Spirit team is all about! Meet our Athlete of the Month for August! Michael participates in Basketball, Bowling and Track & Field. He was nominated as our Athlete of the Month because of his enthusiastic attitude at every practice and event. Michael always gives it his all at practice and is constantly improving - especially noticeably in basketball. This is a good example to fellow athletes to show that hard work pays off! Michael has 2 dogs and 1 cat and enjoys working at Sycamore Services along with friends like Jeff and Eric. When Michael was in high school, he was the manager of the basketball team and earned his varsity letter. That was a significant achievement and he looked pretty cool in his DHS letter jacket!! Q: Who is your favorite musician/band? Meet our Athlete of the Month for July! Corbin participates in Basketball and Track & Field. He was nominated as Athlete of the Month because of his impressive athletic skills and great attitude. Corbin is highly skilled in basketball and always shows good sportsmanship which sets a good example for his fellow athletes. He says that he practices basketball 24x7 at home and it really shows! Corbin not only works hard at developing his athletic skills but he also works two jobs - one at the Washington Township government center and the other at a catering company in Plainfield. Corbin seems to have a lot of fun with his teammates and friends and always shows kindness and encouragement to them. We are lucky to have such a great athlete on our Spirit team! Q: Who is your movie? Meet our Athlete of the Month for June! Chris participates in Bocce and Bowling. He was nominated as Athlete of the Month because of his sweet demeanor and the great job that he did in the State Games in Terre Haute competing in Bocce with his partner Eric. Chris has got such good aim and a nice touch when throwing the bocce balls and is always prepared for his turn. We were all so happy that he decided to compete in the State Games with us this year, he is such a great addition to our Bocce team! 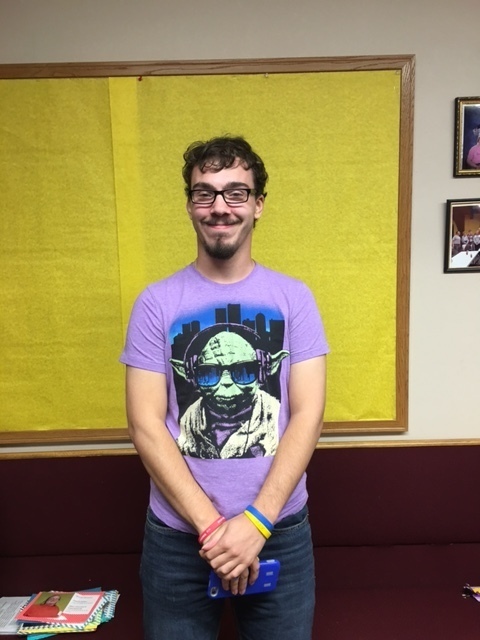 Besides competing in Bocce and Bowling with the Special Olympics, Chris also enjoys playing basketball going to church, playing video games and watching tv. He is a man of few words but his actions truly represent what being a Hendricks County Spirit athlete is all about! Q: Who is your favorite food? Meet our Athlete of the Month for May! 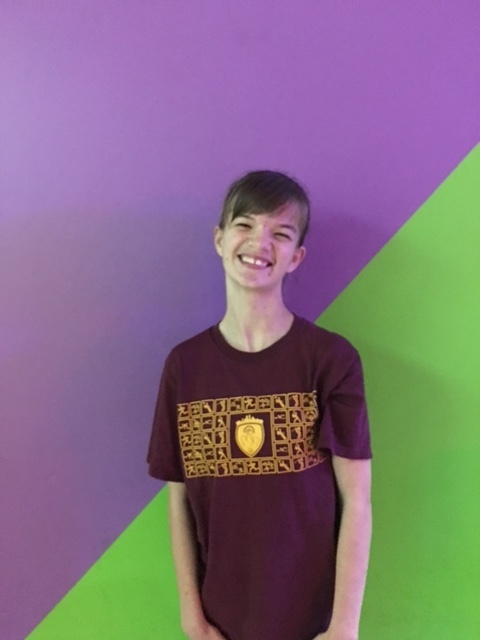 Erin participates in Basketball, Bocce, Bowling, Equestrian and Cheerleading. She was nominated Athlete of the Month because of her kindness and good sportsmanship. She is encouraging to the other athletes, respectful to the coaches and volunteers and overall is just sweet to everyone she meets. Erin has worked hard learning the game of Bocce and is getting really good at it. She and her mom compete together as a Unified team. Other things that Erin enjoys doing is going to the movies and getting manicures. She is also very knowledgeable about movies! She works at IU West doing housekeeping and says that the people at the hospital are really nice. Erin is a true Spirit athlete. Q: Who is your favorite movie? Meet our Athlete of the Month for April! Connie participates in Basketball, Bocce, Bowling and Cheerleading. 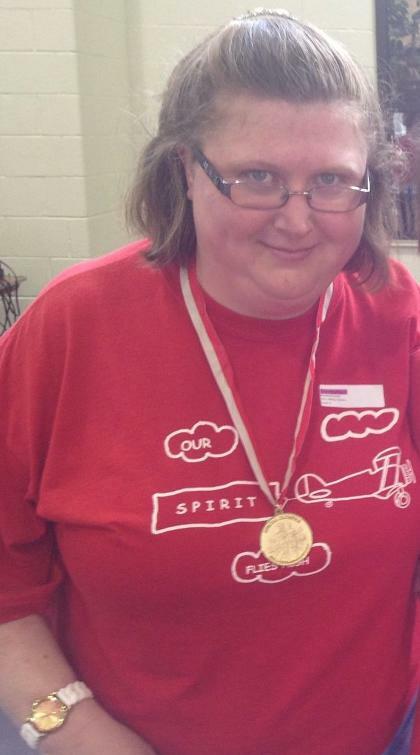 She has been competing in Special Olympics for 32 years!!! Connie was nominated Athlete of the Month because of her competitive spirit in Bocce - she's a GREAT bocce player! She and her partner (and best friend) Lorrie have won numerous medals playing bocce, they make a great team. Connie even plays bocce at home and beats her brother when he's home from Japan. Connie is a big-time Ohio State fan (like her mom) and enjoys going with her mom to get manicures and pedicures at Ivy Nails every so often. She also enjoys going out to eat with her parents every week at El Toro and visiting her sister in Rockford, IL. If you know Connie then you know that her favorite color is purple! Connie is a well-known athlete in Brownsburg and is a very special part of our Spirit team. Q: Who is your favorite song? Meet our Athlete of the Month for March! Chad participates in Basketball and Bowling. He moved here from Nebraska where he also participated in Special Olympics. Chad was nominated Athlete of the Month because of his good sportsmanship that he always displays at Basketball - both practices and games. Besides Special Olympics, Chad enjoys traveling and has been to a lot of different places. Some of his favorites are NYC, Philadelphia, California, the Football Hall of Fame in Canton, OH and Graceland in Memphis, TN. We are all happy to have Chad on our Spirit Team!! Meet our Athlete of the Month for February! Quanita participates in Bowling, Cheerleading, Softball and Track & Field. She was nominated as our Athlete of the Month because of her outgoing personality and positive outlook (just look at that smile!). Besides Special Olympics and crafting, Quanita enjoys spending time with her husband Andy (also a great Spirit Athlete!) and watching tv. She and Andy have been married for 6 years. She is currently going to school to earn her HS diploma and she loves her job at Sycamore Services. We are so fortunate to have Quanita spreading her sunshine with our Spirit team!! Meet our Athlete of the Month for January!